Creating Wedding hair with beautiful brides has to be one of the best and fulfilling parts of being a mobile hairdresser. Over the years Stacey has helped many Dorset and Hampshire Brides get ready for their big day, as well as their Bridesmaid, flower girls and other Wedding guests. Choosing a wedding hairdresser can be a daunting prospect, especially as sometimes it may not be possible to use a salon that you would usually use for your everyday hair. Even if you have not used Stacey's mobile hairdressing services in the past, you can have the piece of mind that with every booking Stacey offers a complimentary hair trial – just to make sure you are happy with your hairstyle and that we get it exactly how you want it. With her experience she can help you achieve the perfect style for your perfect day. Stacey offers a VIP wedding package for your big day. A very unique package which includes a 12 hour service of hair and makeup for you, your bridal party and wedding guests - A really wow factor. The all inclusive VIP packages costs £1000. Kaylie uses only premium brands with her make up and brushes. These include MAC, Bare Minerals and Chanel. Kaylie’s aim is creating the best version of you. She takes in the consideration of your specific needs, whether you want a more natural look or a dramatic look or if you have certain skin care requirements, Kaylie will work to your needs to make sure you are both comfortable and happy on your big day. When choosing a wedding hairstyle it may be useful to bring pictures and ideas of what style you would like on your wedding day. 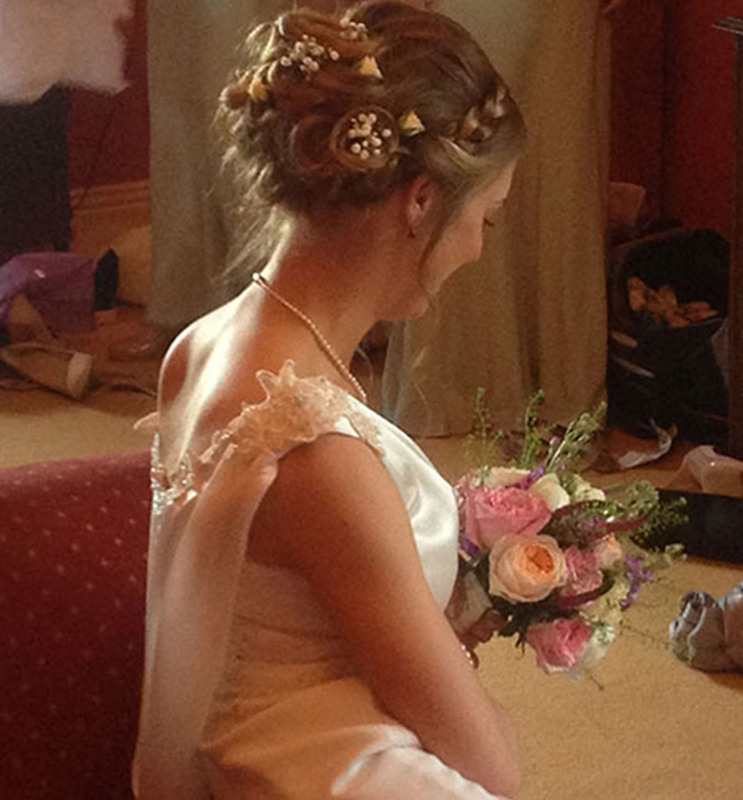 Stacey has had previous brides that would like a simple beautiful blow dry to others wanting more extravagant hairstyles. With her experience she can help you achieve the perfect style for your perfect day. 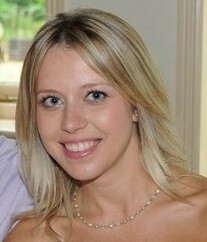 Stacey regularly updates her Facebook page & galleries of previous brides. Creating Wedding hair with beautiful brides has to be one of the best and fulfilling parts of being a mobile hairdresser. Over the years I have helped many Dorset and Hampshire Brides get ready for their big day, as well as their Bridesmaid, flower girls and other Wedding guests. Choosing a wedding hairdresser can be a daunting prospect, especially as sometimes it may not be possible to use a salon that you would usually use for your everyday hair. Even if you have not used my mobile hairdressing services in the past, you can have the piece of mind that when booking with me that beforehand I offer I complimentary free trial – just to make sure you are happy with your hairstyle and that we get it exactly how you want it. 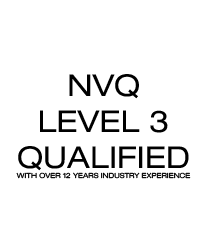 With over 10 years experience in leading UK salons Stacey has also achieved NVQ level 2 and 3 Diploma qualifications in Hairdressing as well as gaining expert on job training from other experienced hair stylists. It is also important for your peace of mind to be rest assured that she is also a fully insured Mobile Hairdresser and covered with both public and product liability insurance. Without the overheads of a salon, Stacey is able to use the best quality products and still able to provide you with beautiful stylish hair at a reduced cost. Stacey believes in only using the highest quality products from well known brands such as Wella Professional and TIGI BedHead.